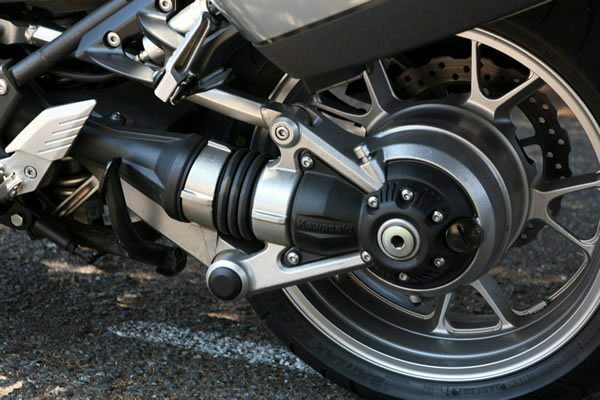 How much do you know about your motorcycle’s drive mechanism? Chain drive. Shaft drive. Belt drive. What’s the difference? Which one’s best for you? 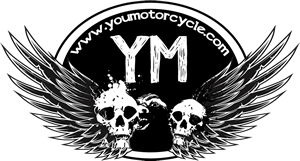 Your needs should be what determines your motorcycle drive mechanism, and here’s some info to help! 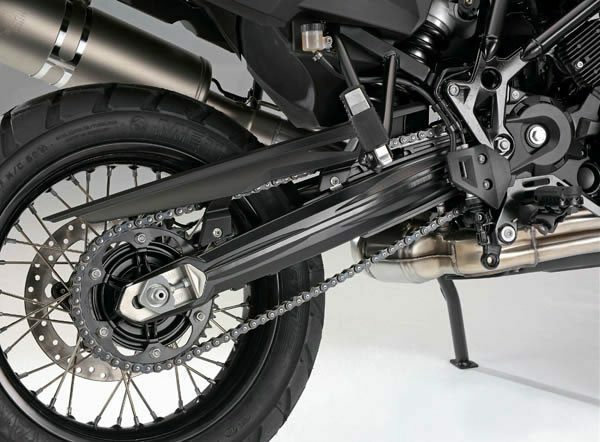 Chain drive is the most common of all motorcycle drive mechanisms. It is cheap and the most effective way to drive power to the rear wheel. Chain drive uses two sprockets. One by the engine and one by the rear wheel. These sprockets are connected using a chain so that whenever the engine’s sprocket turns, the rear wheel turns as well. Chain drive is widely used because it is inexpensive and efficient. It does, however, come with some cons. Chain Drive requires a lot of maintenance. Its sprockets and chains wear faster than belt drive or shaft drive. It requires a lot of maintenance lubrication as well as a lot of cleaning as it attracts dirt most of the time. Belt drive technology is mostly seen in scooters and cruiser motorcycles. The drive mechanism works on the same principal as chain drive, but relies on a kevlar belt rather than a chain for a more smooth riding experience. The belt does not require lubrication which is one major advantage over chain drive. Though not as maintenance-free as shaft drive, belt drive has longer life than the chain and requires little to no maintenance. This kind of mechanism however, has limited customization option. You cannot dismantle a belt piece by piece like others can with chains. Shaft drive is a technology that can also be seen in four wheeled vehicles. It offers less noise and little to no maintenance as well. Shaft Drive provides the smoothest driving experience. Moreover, it has a longer life span then that of chain and belt drives. The two disadvantages of shaft drive are price and weight. It is more expensive and heavier because of the gears and technology. The other disadvantage is the power loss that comes as a result of the gearing joints needed to turn the power 90 degrees from the shaft to the rear wheel. Shaft drive may not be the best option if you’re the tinkering type who likes to customize your motorcycle’s performance. Chain might be a better option if you’re getting ready for track day. 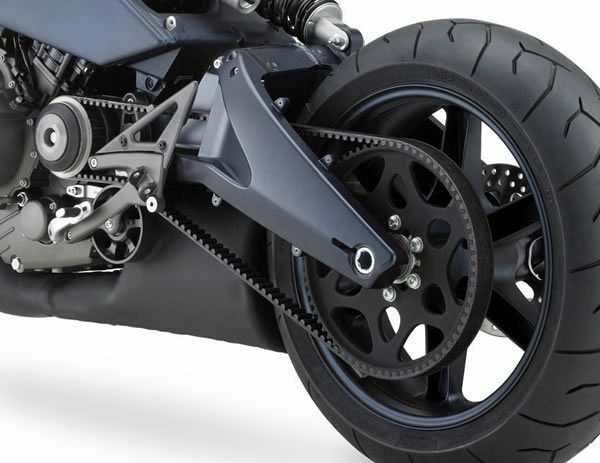 If you’d like a compromise between low maintenance and motorcycle performance customization, consider belt drive. Whatever you choose, ride safe, and ride well! Your article mentions that belt drives have longer life than chain or shaft drives, then it goes on to say that shaft drives have longer life than belt drives. Hey Nate, you’re absolutely right. I can’t believe we didn’t catch that sooner. I’ve corrected that. Thanks brother, ride safe! I ride a ’05 Suzuki Intruder 805 cc with shaft drive, and put over 15k miles on it since I bought it in 2012. LOVE the shaft drive, because I live on a washboard gravel road. Less power? I beg to differ! The intruder is light enough to get going! This bike accommodates smaller riders, since it sits rather low to the ground and due to positioning of the pegs. The small 3.2 gal gas tank is the only disadvantage when riding with longer range bikes. Just got off my 2011 Suzuki Boulevard M50. 805cc also shaft, probably very similar if not the same motor. Enjoying the shaft drive as well but on aggressive and sporty riding on and off the gas you can really feel you’re on a shaft driven machine. I reach 95 mph easily by the time I merge onto I-25 and have to slow down to the speed limit. Living at 5600+’ altitude, riding up to 14000′ at times. I am not an aggressive rider, but enjoy good acceleration. Can you hardtail a shaft driven bike?? Hey David. Yes, of course. You can find many examples of hard tailed shaft driven bikes on bikerMetric.com. Please check it out. Some Yamaha V-Star 650 builds specifically come to mind. Hey brother,thanks.I’ll check that site out n see what inspires me. Having owned and ridden all three types. I prefer belt or shaft drive over chain drives. One thing to get used to is the shaft drive squat effect while accelerating especially leaning through a curve. To anyone new to shaft drives it feels like your rear wheel is skidding when it is not.